If you suffer from facial or jaw pain or find it difficult to open or close your mouth, you may have TMJ disorder. TMJ disorder is a condition that affects the temporomandibular joint, which is a joint that connects the lower jaw to the skull on each side of the face. Stress to this joint can lead to the development of TMJ dysfunction. When orthodontic and general dentistry treatments are not enough to address TMJ disorder, patients may be referred to an oral surgeon. 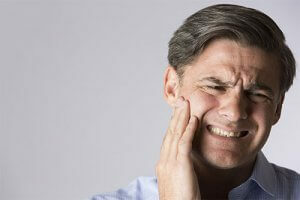 Many common oral health issues can cause TMJ dysfunction. For instance, a worn down occlusion can put stress on the TMJ joint and surrounding facial muscles because the joint over compensates for an improper bite. Worn down teeth are often the result of tooth grinding, also known as bruxism, and damage from injury or decay. Bruxism itself complicates the health of the TMJ. Using Botox to treat TMJ disorder symptoms is gaining popularity and this newer, highly-effective option is good news for patients. While Botox may not be a suitable treatment for all patients, it can help those patients who still suffer from severe pain despite trying other treatments. When Botox is injected into facial muscles, it prevents signals from the nerves from reaching the muscles, which means the muscles can not contract. This nerve-blocking ability minimizes or stops the often involuntary and powerful jaw movements that can lead to TMJ disorder pain. If you are suffering from TMJ disorder pain or discomfort, it may be time to learn more about Botox treatment for your symptoms. Contact Prestige Oral Surgery today at 732-297-7000.